Island Expeditions are the iconic game mode that describes Battle for Azeroth the best. In an Island Expedition boost, your character and two friendly players will stumble upon an island on which you will find a ton of different things to do. 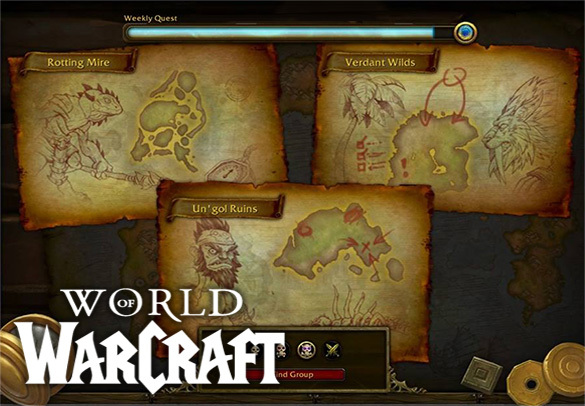 The main objective is to gather 6000 Azerite by either completing quests, killing NPC, finding hidden Azerite all across the island, and more. The only problem – your opponents are going to be doing the same thing. This is essentially Horde vs Alliance race on who can gather 6000 Azerite first. Like Warfront, this event is also a mix of PvE and PvP simply because the opposing factions players are going to be controlled by a really clever AI. Our Island Expeditions boost can be Normal, Heroic, Mythic or even PvP ( Player versus player ) Island Expedition difficulty, in order to be able to queue for Heroic Expeditions players need to have 305 average item level and 315 average ilvl is needed to be able to queue to a pre-made group for Mythic Island expeditions. Our team of professional players will bring your character to this amazing event and spam games until they acquire what you’re looking for. This mode brings numerous amazing rewards including toys, mounts, transmog gear, and also useful Gear that could even be sold! Progress towards or weekly goal in Island Expeditions! Heroic Islands Expedition is a land of wonders where you can acquire almost any type of loot available in the game. Five Island Expeditions boost is just another great way to gear up, don't miss it out!